DJ KHALED NET WORTH - How DJ Khaled Builded his Net worth. 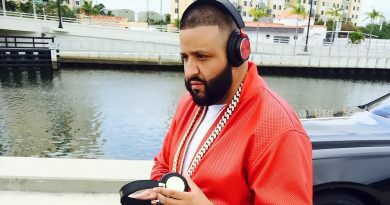 Dj Khaled Net Worth – Biography. DJ Khaled is an American record producer, radio personality, rapper, DJ and CEO of the record label We the best Music. Born Khaled bin Abdul Khaled on November 26, 1975, in New Orleans, Louisiana, Dj Khaled rose to prominence through hardwork and dedication. With parents originaly from Palestine,the king of snapchat was raised as a devout muslin and still practice to this day. 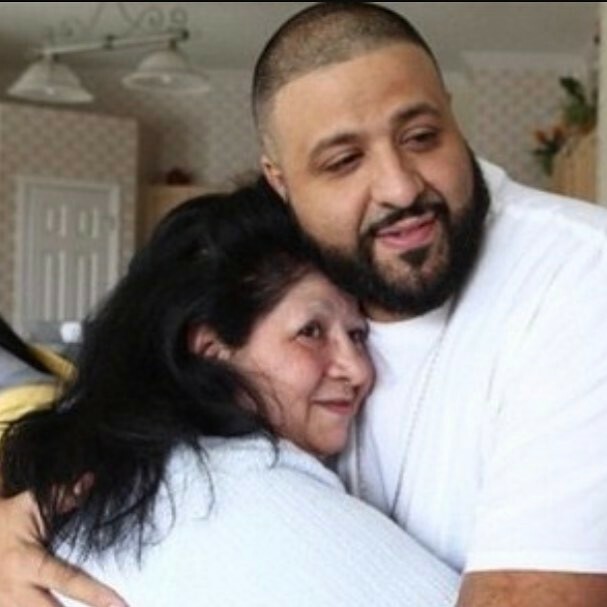 Dj Khaled and his mother hugging each other. Dj Khaled was drawn to music at a very early age. His interest for music stem from his parents who were Arabic musicians. The We the best CEO showed a particular interest in Rap music and was supported greatly by his parents. He gained a strong foundation working for a local record store. DJ Khaled success led to him becoming the president of Def Jam South record label in 2009, a status that he held greatly before founding his own record label – the We the Best Music Group. The question on everyone lips is “What is Dj Khaled net worth?” How did the Father of Asahd builded his wealth and much is Dj Khaled Net Worth? Dj KHALED NET WORTH? How did he make his money and wealth? In 2013, Dj Khaled net worth was estimated at 3millions generated mainly from his albums sales and Dj contracts. Fast forward to 2014, Dj Khald net worth was estimated to 7millions, more than the double from the previous year. Thanks to growing the expansion of the we the best group and a well deserved deal with Bang & Olufsen to promote the Khaled healphone lines. In 2016, Dj Khaled was nominated by Forbes among the top 20 earners in hip pop, securing a number 12th position with a whopping 15millions. That year, The father of Asahd secured his fortune by making big deals with companies like Zappos, Apple, and T-Mobile. In November 2016, he published a book, “The Keys,” which details his methods for success. Dj Khaled released also in 2017 a collaboration with team Jordan for the release on the Grateful 3’s Jordan. Today, the fiancée of Nicole Tuck fortune is estimated at 20millions. It was reported that The king of snapchat bought the los Angels house of Robbie Willaims for the above 9 millions in a gated community. 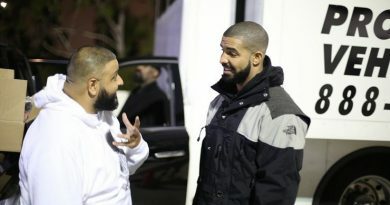 Dj Khaled builded wealth predominately from his music recordings, tours and major endorsements. He also owns several restaurants in Miami – Finga licking. He has also a range of Dj Khaled Merchandise. He is the prime advocate of success. He went out his way to write a book to share major keys of success. Followed by millions of social media and snapchat, Dj Khaled is a prime example of positive energy. The book is series of life learned lessons pubished in November 2016. The Fiancée of Nicole Tuck released 10 albums to date with the 11th album titled Father of Asahd scheduled to be release soon. The father of Asahd is one of the most sought-after producers in hip-hop today and a very popular social media personality. His noteriety let to a collaboration with all the major A list artists in the music industry including Jay-Z , Rick Ross, Drake; Nicky Minaj, just to name a few. 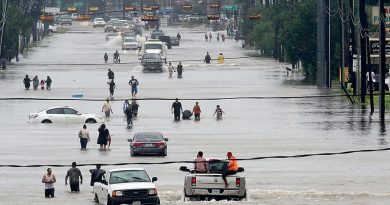 Dj Khaled encountered some road block along the way Rick Ross said. 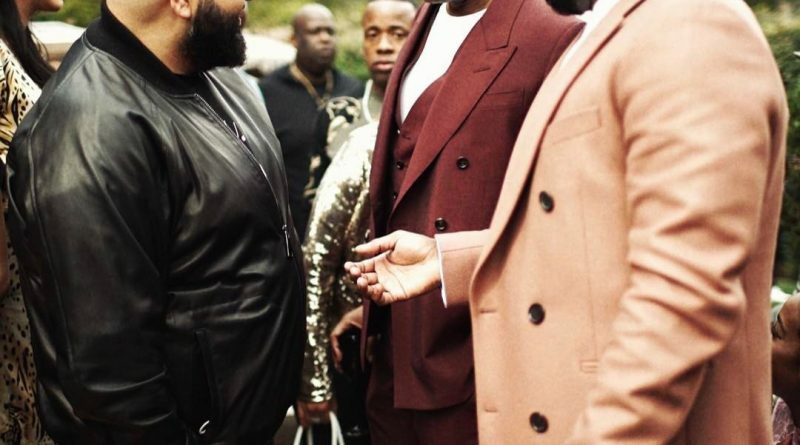 In his album titled “Rather you than me”, Rick Ross discusses how Dj Khaled almost lost all his fortune with his association to the Cash Money Ceo Birdman. Dj Khaled signed with the Cash money labed group and was duped by the Birdman. The King of snapchat managed to rebuild himself and a wealthy empire thus bloosoming his net worth to a whooping 20 millions today.. The future looks bright for DJ Khaled.